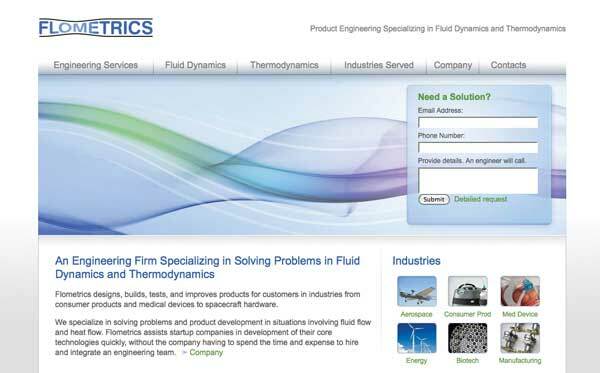 The Challenge: Flometrics exisiting website was full of detailed niche content but the architecture and design was dated and not presenting the needed level of professionalism. 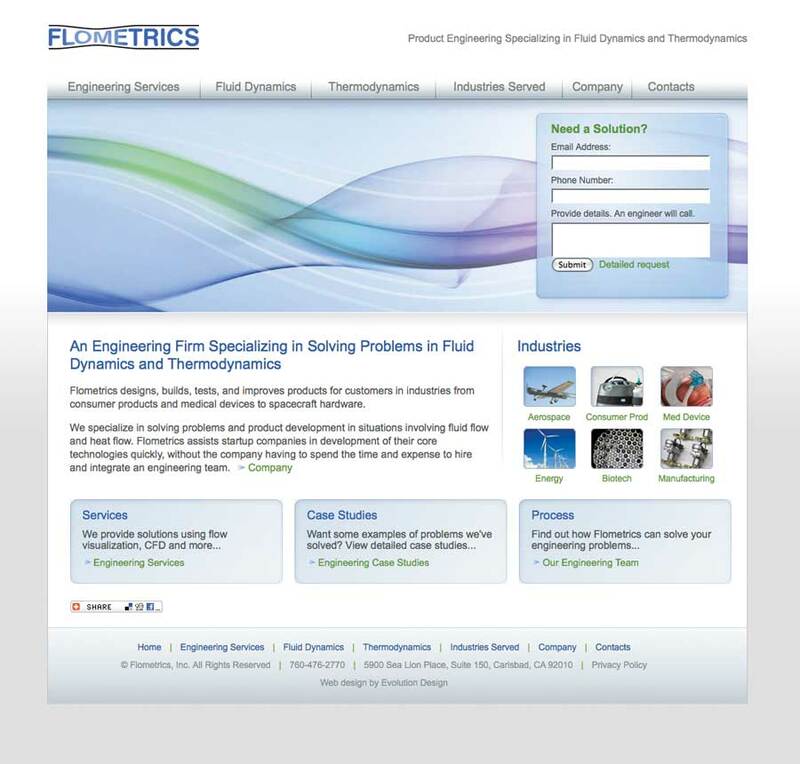 The Solution: Evolution Design designed a clean layout with intuitive navigation. Light colors in the web design highlighted the client’s custom photography, video embeds, and in-depth wording. We created several custom drawn diagrams helped add interest to key content pages. We edited and reorganized the old site content into a new navigational scheme aimed at providing better search engine performance. To assist with lead capture we placed a contact form above the fold on the homepage.